I live in a city with pretty good AT&T 3G coverage. There are of course a few weak spots but for the most part it works pretty well. That is the most important thing for a phone. If you live in an area where you don’t get good AT&T coverage then the iPhone may not be the phone for you. Now if you get coverage in most places but lack coverage at home AT&T is experimenting with giving away the http://www.wireless.att.com/learn/why/3gmicrocell/ for your home. You hook up the AT&T mini repeater to your home network and after it gets it’s GPS location and hooks up to AT&T you have a mini tower in your house. AT&T really failed on the initial rollout of these devices and in my opinion still don’t have it right. First they tried to sell them for $150.00 to customers who couldn’t get service at home. Now they are at least starting to give them to customers who can’t get service at home. However buyer beware, while AT&T is using your broadband Internet to hook the Microcell to their network they still charge you for minutes and 3G data usage counts against your data plan. That is still a pretty big fail on AT&T’s part. One I have to pay for the service which is still over priced, then they may give me the device or make me buy it to get the service I already pay for to work in my home, and finally they charge me for the 3G data which is really using my bandwidth I already pay the cable company for. How many times does AT&T expect us to pay for a single service? Of course if you are at home you can just put your iPhone on the WiFi network and not use the 3G for data at all. For an extra $20.00 a month you can get unlimited minutes on your Microcell so you don’t get billed for minutes while you are at home using your cell phone. There is also a limit of ten phones that can be paired with the Microcell. However again they are charging you an extra fee for the right to use your broadband you pay for to help take pressure off their network that is being upgraded too slowly for the customers they are adding. With an increase in customers by 40% and a huge spike in data usage because we are changing how we use our phones, instead of dealing with it AT&T like other carriers in the past just try and discourage the use of their network by raising rates or adding data caps. Users want access to their content where ever and whenever and with cloud services like MobileMe and GMail keeping our phones backed up and in sync with our computers over the air we are just going to keep using more and more data. It is time the carriers pulled their heads out of the sand and started building out their networks faster to deal with future growth. 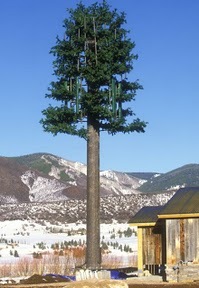 Placement of Cell Towers has long been a problem in the US. Compared to Europe we place our towers farther apart and some cities restrict their height and appearance so as not to be an eye sore. That comes as a cost to the end customer though in weaker signals and inferior service. 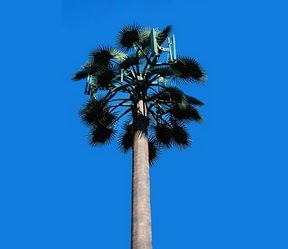 Some HOA’s won’t allow cell towers to be put in their neighborhoods at all so some neighborhoods in Las Vegas only have minimal coverage if any at all because the towers are just too far away. So while part of the blame does rest with cell carriers who are more interested in profits than a top notch network part of the problem lies with local laws and ordinances that keep the companies from putting some towers up in the first place. The Infinion radios in iPhone were designed for European market despite AT&T objection where the towers are closer and it is easier to get a strong signal. The latest radio in the iPhone 4 has improved sensitivity so that they perform better in an environment where cell sites are more sparse. The increased sensitivity is of course being marred by the detuning issue some users have experienced with their iPhones that I talked about last week in my Antenna Gate article. If you get a weak signal in your home from AT&T you now have a choice and can use an iPhone if you wish. HOA’s that do not want large cell towers but want service should be working with carriers to create solutions that will meet the needs of the carriers customers and not make the neighborhood look bad. Why not a mesh of antennas on light poles painted to match the pole, or more palm tree towers and other towers that are designed to look like indigenous trees. It isn’t perfect but they blend fairly well. Carriers need to move on to the next generation of cell technology like LTE and build out very robust networks that can stand up to the high data usage demands of our modern world and let go of the old ways of doing things like holding back the users. Wired magazine just published a story last week about the strained relationship between Apple and AT&T that illustrates AT&T’s old idea’s brilliantly and how Apple has changed the rules of the game to the benefit of not just their customers but all customers by showing the handset manufactures they do not have to hobble their phones because the carrier asked them too. The best thing Apple could do with the iPhone now is to make it available on T-Mobile and Verizon as soon as possible. It will help sales of the already smash hit iPhone and give consumers a choice of carrier. It will also spread the data load out across all carriers giving all carriers a chance to share in some of the pain. Pundits in the UK have talked about their five carriers they can choose from on their iPhone and plans that are customized for those that are data usage heavy or use a lot of minutes talking on the phone. That is what we were supposed to have here in the US due to the free market system. However handset manufactures signed exclusive deals with carriers to get their phone on the carrier and then we are stuck with a carrier we don’t like and a handset we love or a phone we don’t care for on a carrier we like. Few people if anyone get what they want. Hopefully someday soon like in Europe we will be able to pick our handset and pick our carrier and have real choice. Then we will see who makes the quality handsets and who are the best carriers when users get to choose both independently. If you like AT&T and your iPhone and live in a good coverage area like I do good for you. If you get weak coverage at home but do ok in other areas then take a look at a Microcell from AT&T. If you live in an area plagued by poor AT&T coverage or travel outside of AT&T’s coverage area frequently then for now the iPhone isn’t the phone for you. Write Apple and ask them to open the phone up to other carriers. Hopefully that will be happening soon and recent surveys indicate that millions more customers would buy an iPhone if only it were available on T-Mobile or Verizon.